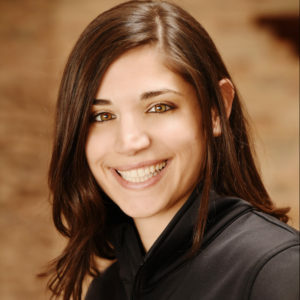 Amanda Ferranti is the director and founder of Ferranti Empowerment where she has firmly established herself as a Certified Mental Performance Consultant for youth athletes, teams, and coaches. Amanda has an M.A. in Sport and Exercise Psychology, a B.A. in Psychology from Princeton University, and years of experience working with athletes and coaches in various sports, ages, and levels. 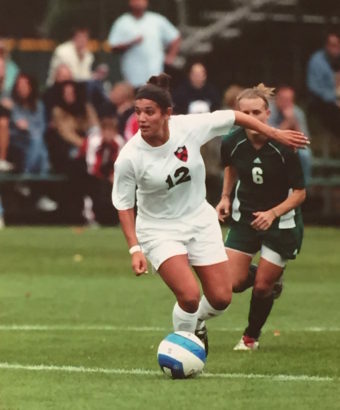 She has achieved a great deal of athletic success herself, having played soccer for HBC Fury (7 x State Champions, 3x Regional Champions, 3x National Finalists), Princeton University (Ivy League Champions, NCAA Final Four semi-finalist), and the Long Island Rough Riders (Northeast Division Champions). Amanda also has a diverse background competing in multiple sports, including swim, basketball, lacrosse, and dance. ​An advocate of mental skills training from personal experiences, Amanda understands the importance of emotional management and uses her innovation and unique knowledge-base specifically for youth populations. Additionally, she is a Certified Consultant by the Association for Applied Sport Psychology and continually contributes to the growing literature on mental skills training and performance enhancement. Amanda and her team have personally experienced the obstacles that come with an elite level of competition, and they will use that insight to better connect with your athlete as both a consultant and role model. Each professional at Ferranti Empowerment is a Certified Mental Performance Consultant (CMPC) by the Association for Applied Sport Psychology, which ensures a high degree of quality to practice in this field. Ferranti Empowerment understands that mental habits take shape around 12 years old, which is why we are passionate about working with youth populations. Additionally, we have gained extensive insight and have established effective strategies through our concentration with this age group. Ferranti Empowerment has developed a systematic program with original worksheets and discussions that have proven to be engaging and efficient, with an average commitment of 8 sessions. Each session with Ferranti Empowerment is catered to your athlete’s goals and individual circumstances. Our proven techniques are malleable to athletes of all sports and abilities. Ferranti Empowerment is largely a referral-based business that has received a great deal of unprompted gratitude and satisfaction from our clientele.